God has given each of us a circle of influence, a place where our lives impact others for either good or ill. In much the same way, each of us is also influenced by others, some of whom can help us see and overcome our problems and shortcomings. 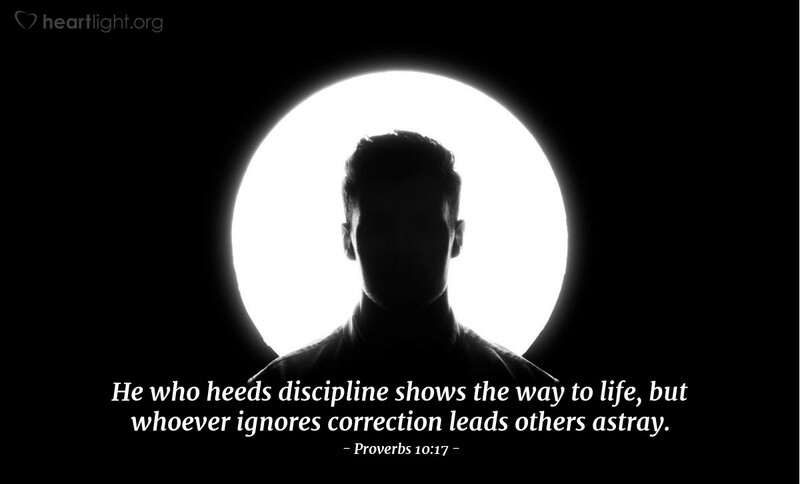 However, if we reject or snub discipline and correction, we not only harm ourselves, but we lead others astray. The choices we make don't determine just our destination; they also greatly impact others! Dear God, please forgive my foolish arrogance and my lazy indifference to your truth and wisdom. I am humbled by the knowledge that you have made my life significant to others. Please empower me to use that influence to gently and humbly lead them in the way of your truth. In Jesus' name I pray. Amen.